Sovereignty and the acts which are consequent upon it, notably the bestowal of honours of various kinds, are valid independently of any recognition by third parties in accordance with Article 3 of the Montevideo Convention 1933. Nevertheless, the question of recognition often arises as a matter of public and historical interest and also stands as a mark of social acceptance. 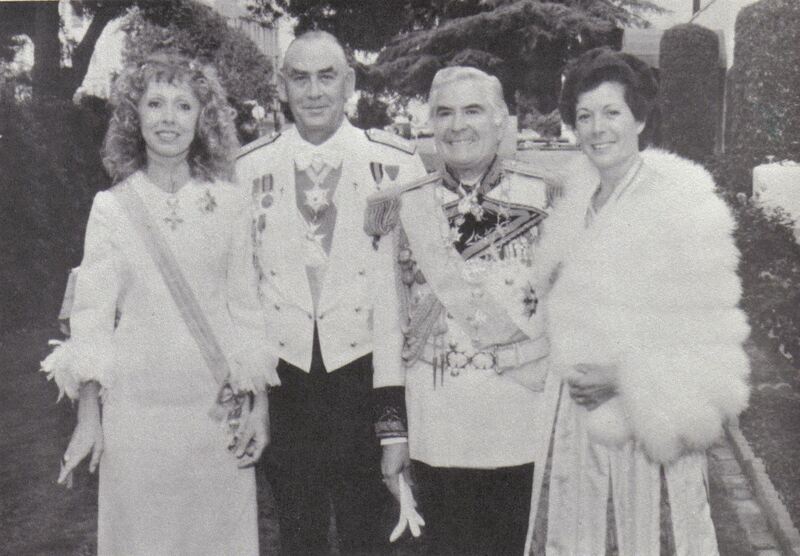 Issues of recognition also arise with respect to the acceptance of foreign titles of nobility and the acceptance and wearing of foreign Orders in some countries. Each country has its own protocols on these matters. Although some countries have abolished nobiliary distinctions, in most cases, there is no legal barrier to the acceptance and use of foreign honours in a social context, provided these honours derive from a genuine source. However, where the recipient serves in the government or the military, or in related branches of public service, there are often specific rules in place. This is why, for example, foreign honours intended for armed forces personnel in the United States are usually only bestowed when the recipient has retired from the service. In the current climate, the government of Belarus extends no recognition to the Royal House Polanie-Patrikios and nor is such recognition likely for as long as that government remains committed to republican ideals. For its part, the Royal House Polanie-Patrikios does not recognize the present government of Belarus as legitimate. It recognizes only an indigenous absolute monarchy, not a republic, as the legitimate system of government in Belarus; all other systems of government there have come about through usurpation of power, revolution or armed foreign conquest. In addition, there is no competent international governmental body that has the power to recognize non-reigning Royal Houses in exile. There are numerous private societies and corporations that claim to carry out this role, but their judgements are solely based on the opinions of private citizens, which are usually far from impartial, and carry no legal weight. 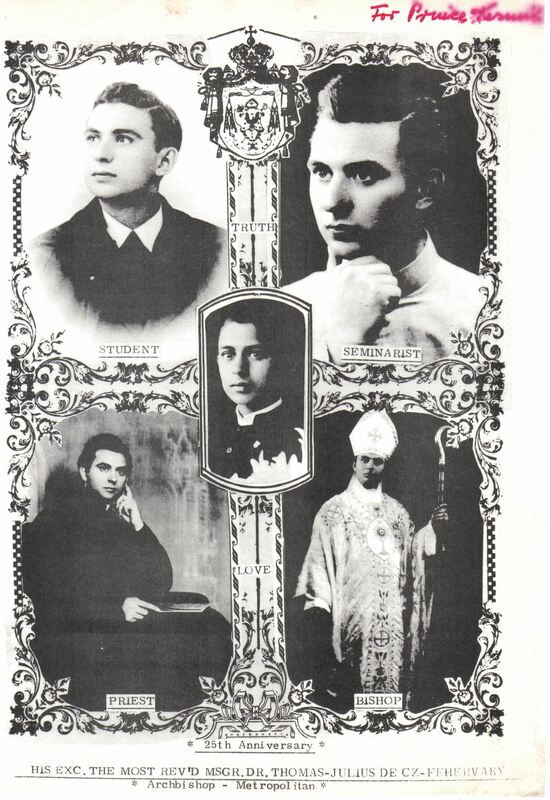 The Royal House Polanie-Patrikios has obtained recognition solely from the remaining legitimate authorities available to it today; from the Orthodox Churches and from its peers in other recognized Royal Houses. 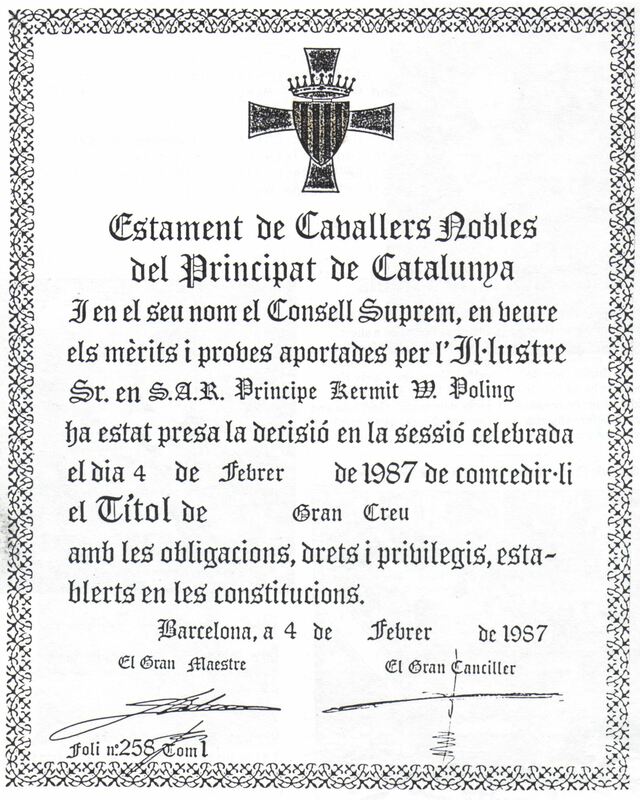 The usual means by which recognition is undertaken is through the giving and receiving of House Orders of a religious or chivalric character. Photograph with handwritten dedication presented by the Syrian Orthodox Patriarch Mor Ignatius Zakka Iwas to Prince Kermit of Miensk, 1980. 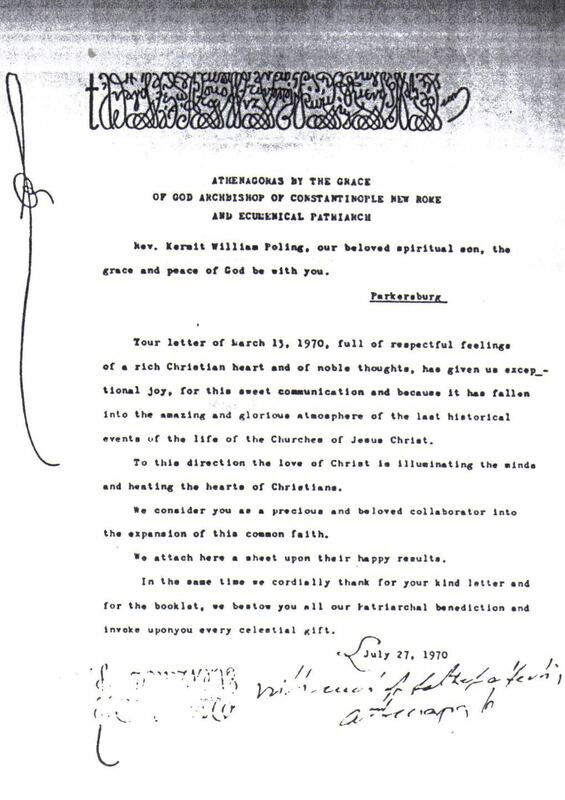 By the Ecumenical Patriarch, His All Holiness Athenagoras I, who recognized the authority of Patriarch Peter II Zhurawetsky and commended Prince Kermit William of Miensk as “a precious and beloved collaborator into the expansion of this common faith [of Christ]”, invoking upon him “every celestial gift”, in a letter of 27 July 1970. The Ecumenical Patriarch accepted from Prince Kermit William membership in the Order of the Sacred Cup. 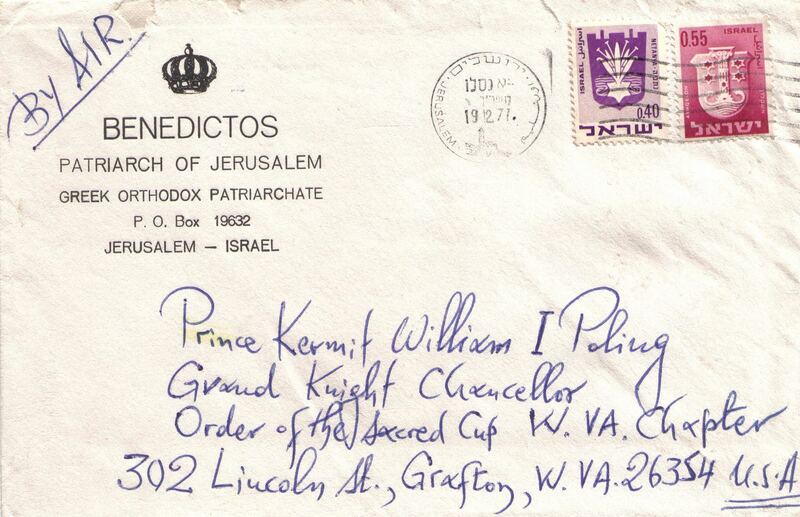 Letter of His All Holiness the Ecumenical Patriarch to the future Prince Kermit of Miensk, 1970. By the Syriac Orthodox Patriarch of Antioch, Moran Mor Ignatius Jacob III, who accepted from Prince Kermit William of Miensk membership in the Order of the Sacred Cup. 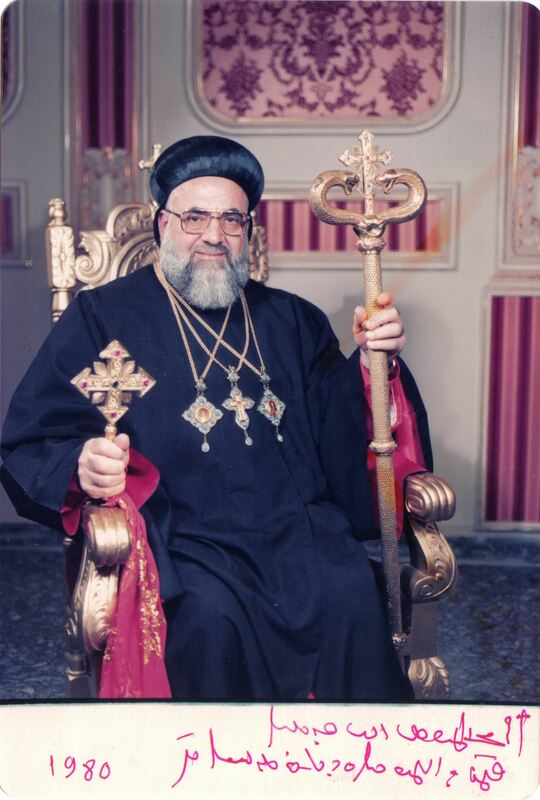 Another member of the Order was Metropolitan Athanasius Yeshue Samuel, Archbishop of the Archdiocese of the United States and Canada of the Syriac Orthodox Patriarchate. By the Catholicos of All Armenians and Supreme Head of the Armenian Apostolic Church, Vazgen I, who bestowed upon Prince Kermit William of Miensk the Order of St Gregory the Illuminator. By the Archbishop of the Church of Cyprus and President of Cyprus, Makarios III, who accepted membership in the Order of the Sacred Cup from Prince Kermit William of Miensk. 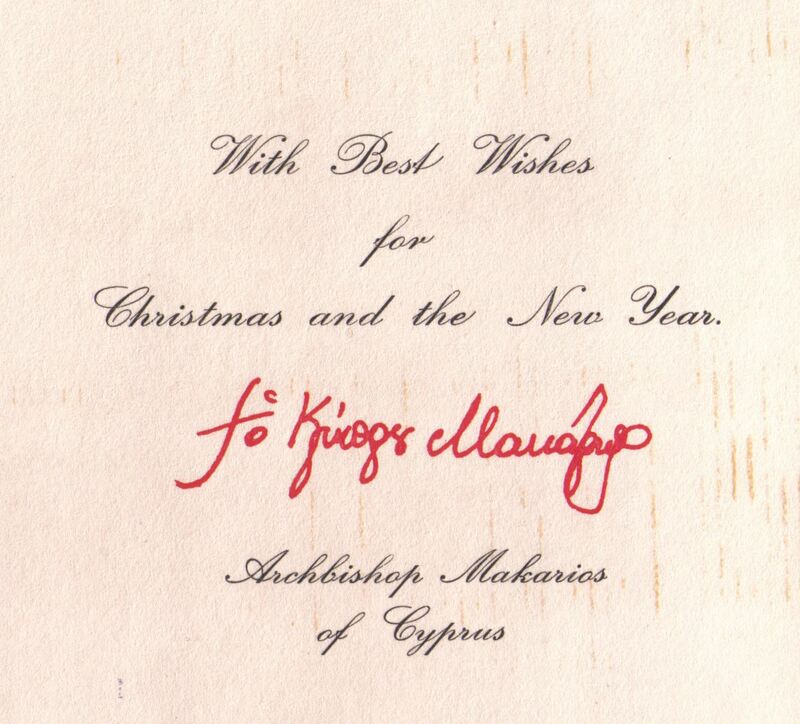 Hand-signed card of Archbishop Makarios III to Prince Kermit of Miensk. 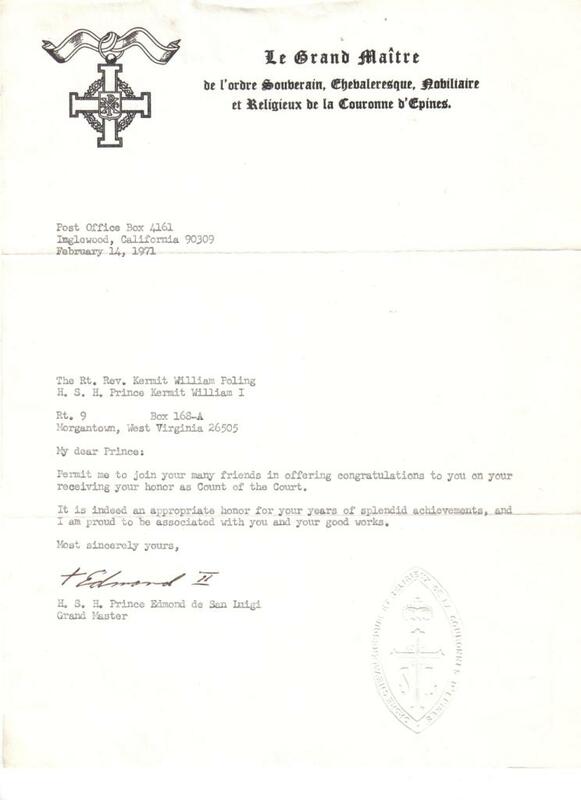 By the Greek Orthodox Patriarch of Jerusalem, His Beatitude Benedictos I, who conferred Apostolic Blessings upon the Order of the Sacred Cup at that Order’s foundation in 1970, and accepted membership in that Order from Prince Kermit William of Miensk. 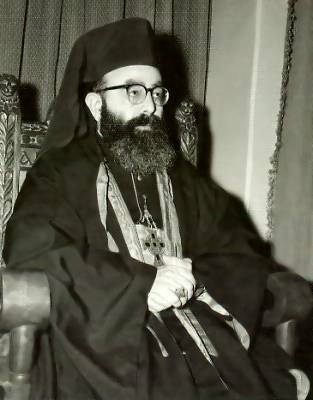 His successor Patriarch Diodoros I extended similar recognition. By the Coptic Orthodox Patriarchate of Alexandria. His Eminence Amba Marcos, Eparch of France, who bestowed upon Prince Kermit William of Miensk the Cross of St Antony of the Desert. 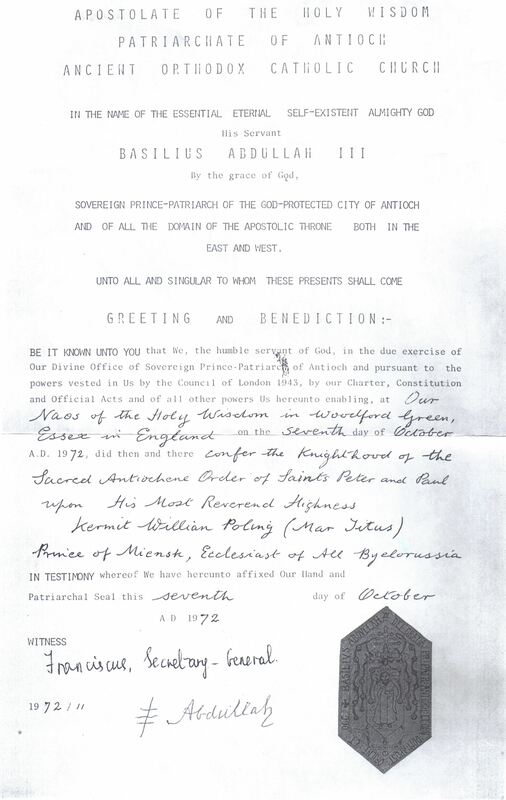 By the Coptic Catholic Patriarch, Stephanos I Cardinal Sidarouss, who bestowed upon Prince Kermit William of Miensk the Cross of St Mark, and the Coptic Catholic Bishop of Minia, Egypt, who bestowed upon him the Ordre des Chevaliers de la Messe, Le Merite d’Or and created him Titular Abbot of Ste. Marie de Gabal-el-Their. 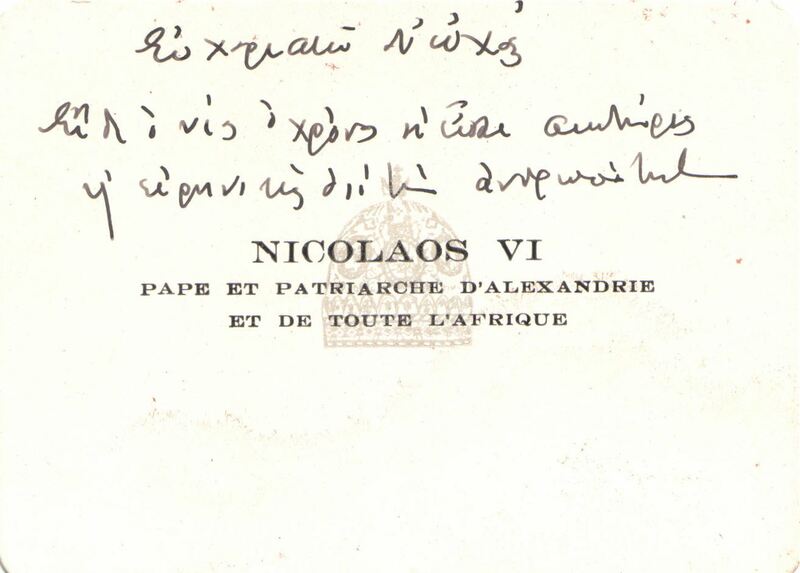 By the Pope and Patriarch of Alexandria and All Africa in the Greek Orthodox Church, Nicolaos VI. Autographed card from H.H. Nicolaos VI to Prince Kermit of Miensk. 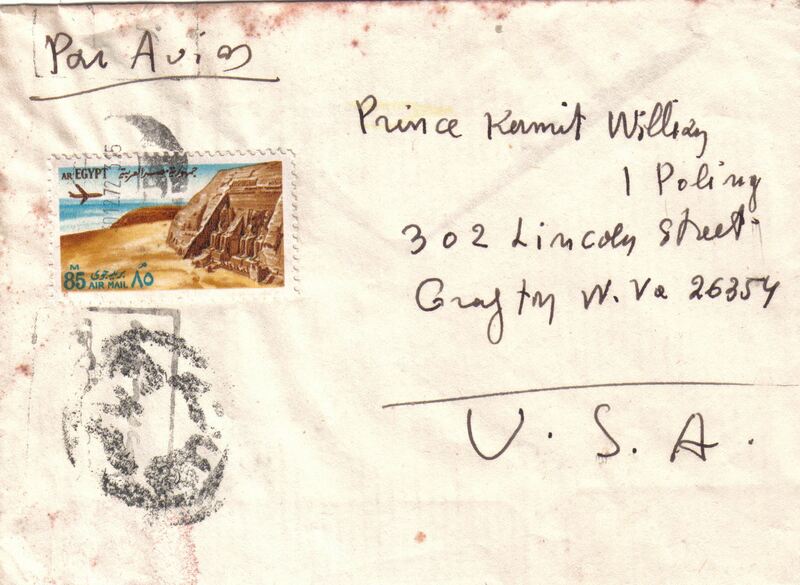 Handwritten envelope from H.H. Nicolaos VI to Prince Kermit of Miensk. By the Melkite Greek Archbishop of Akko, Haifa, Nazareth and All Galilee, Joseph Raya, who accepted from Prince Kermit William of Miensk membership in the Order of the Sacred Cup. 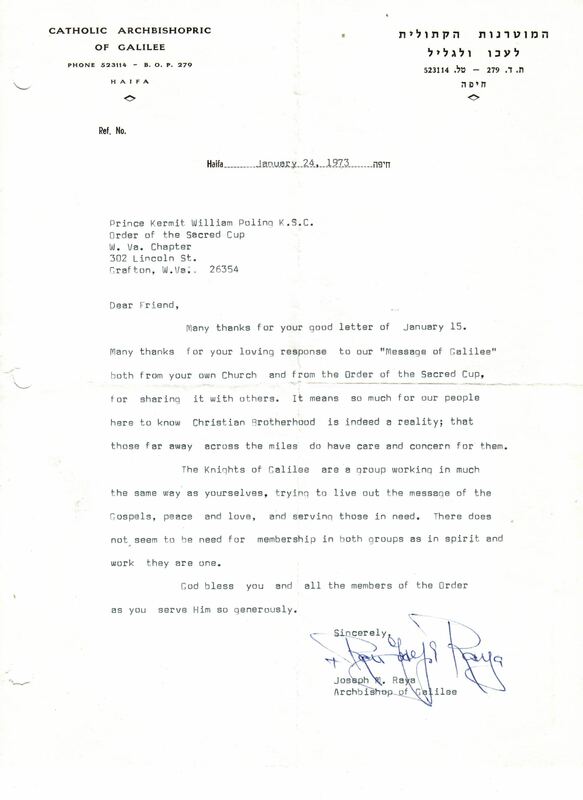 Letter of Archbishop Joseph Raya to Prince Kermit of Miensk, 1973. By the Syro-Chaldean Orthodox Catholicos of Malabar, H.B. 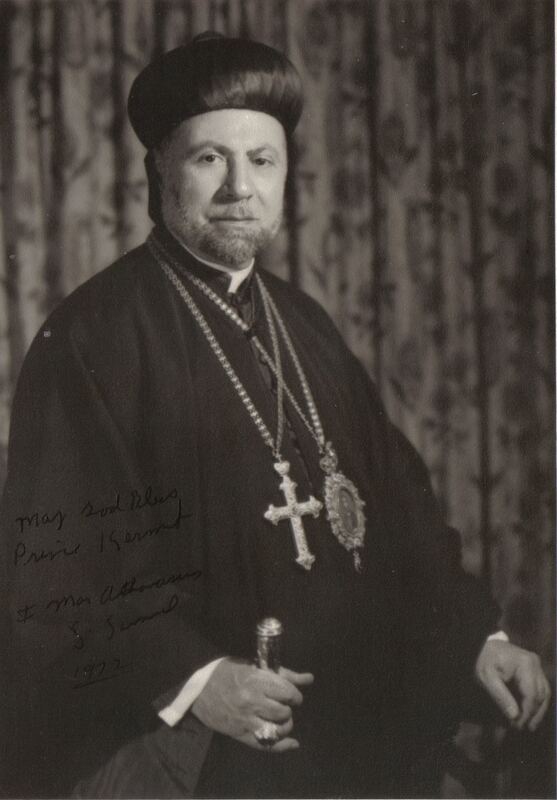 Simon Mar Kurilos V, who admitted Prince Kermit of Miensk as a “Companion of the Society of the Holy Angels” and his predecessor, Catholicos Simon Mar Kurilos IV who bestowed on Prince Kermit the Order of the Six-Winged Seraph and the title Lord Temporal of Malabar and received from him knighthood in the Byzantine Order of Leo the Armenian and the Order of the Sacred Cup, upon which Order he imparted Apostolic Blessings in 1995. By the Roman Catholic Church: (1) Archdiocese of Barcelona, Asociacion Caballeros de Nuestra Señora del Pilar, which bestowed upon Prince Kermit William of Miensk the distinction of Caballero de Nuestra Señora del Pilar. 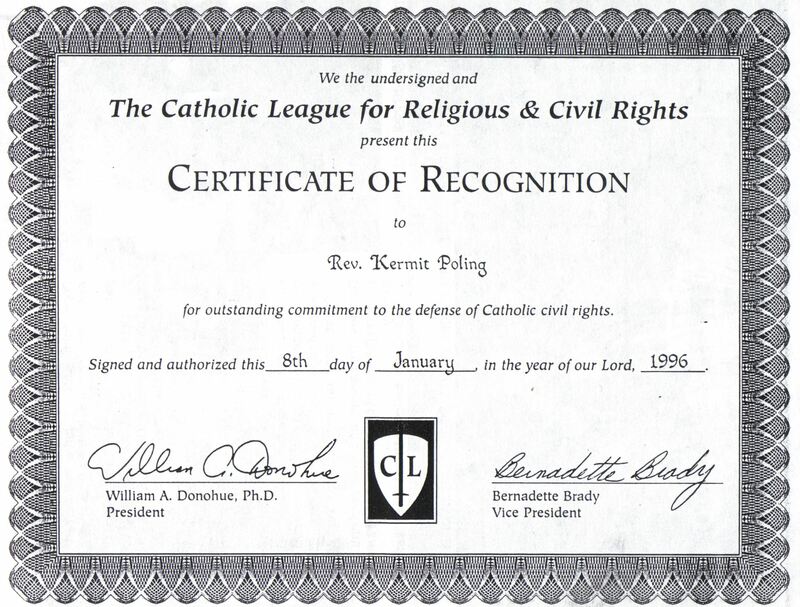 (2) The Catholic League of America. 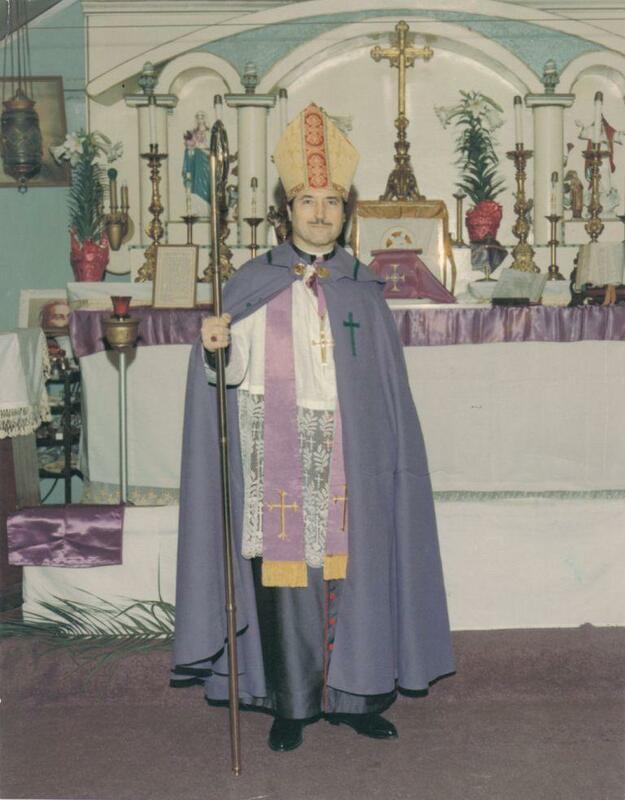 By the Apostolic Episcopal Church (Holy Eastern Catholic and Apostolic Orthodox Church) of New York, Archdiocese of the Caribbean, which bestowed upon Prince Kermit William of Miensk the Order of St Martin of the Holy Cross in the grade of Knight Grand Cross of Justice. 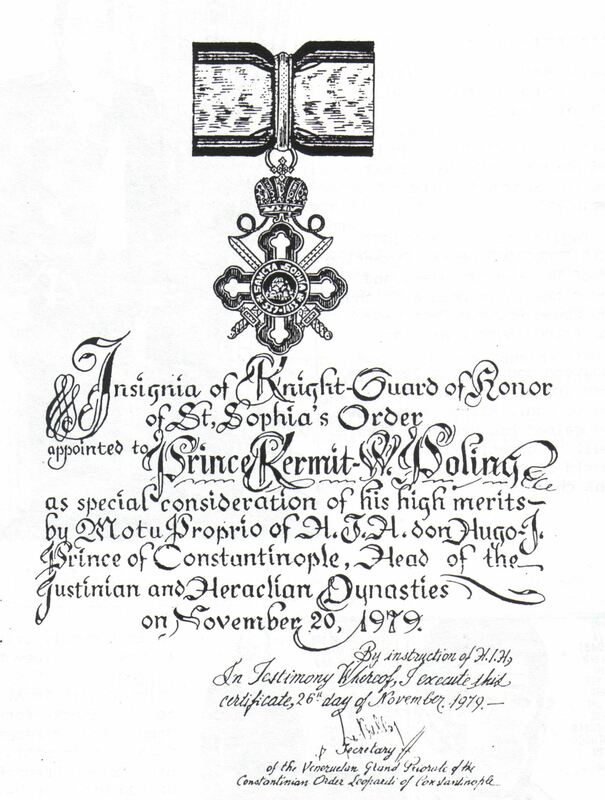 Primate of the AEC Archbishop Francis Spataro accepted Knighthood in the Byzantine Order of Leo the Armenian, while his successor as Primate is Prince Edmond III of San Luigi and Miensk. By Maran Mar Basilius Abdullah III, Patriarch of Antioch in the Ancient Orthodox Catholic Church, who consecrated Prince Kermit William of Miensk as Mar Titus, Titular Bishop of Tayma, and bestowed upon him the Sacred Antiochene Order of Saints Peter and Paul. Knighthood in the Sacred Antiochene Order of Saints Peter and Paul bestowed by Maran Mar Basilius Abdullah III on Prince Kermit of Miensk. 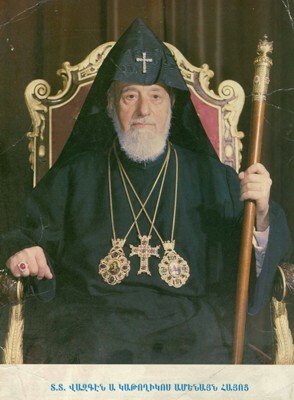 By His Holiness and Beatitude Catholicos-Patriarch Ilia II of the Georgian Orthodox Church. 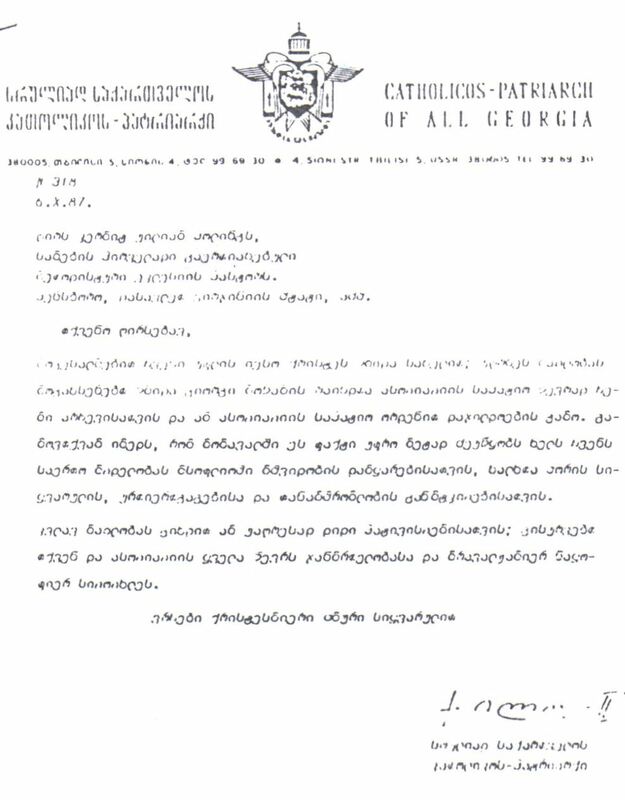 Letter of Catholicos Ilia II of Georgia to Prince Kermit of Miensk. By the Indian National Church, which bestowed upon Prince Kermit William of Miensk the Order of Merit of Saint Bartholomew. 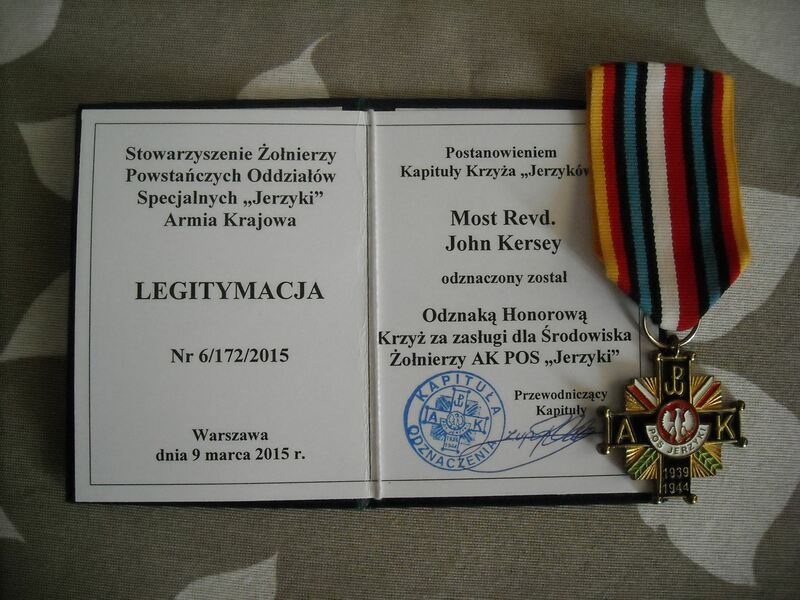 By Archbishop Thomas Czernohorsky-Fehervary, Primate of L’Eglise Chretienne Catholique Traditionelle (Hungarian Traditional Catholic Church), who bestowed upon Prince Kermit William of Miensk the Sovereign Order of Christ, Knight Order, in the grade of Knight Grand Cross. 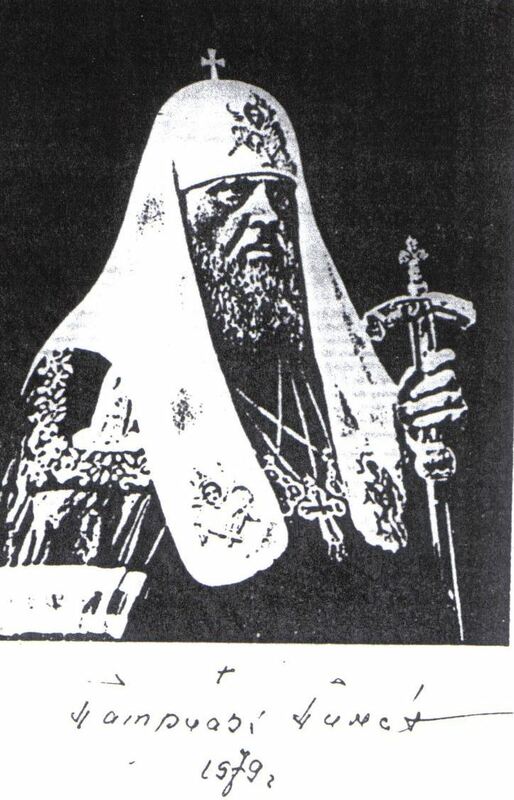 Photograph sent from Patriarch Pimen of Moscow to Prince Kermit of Miensk, 1979. 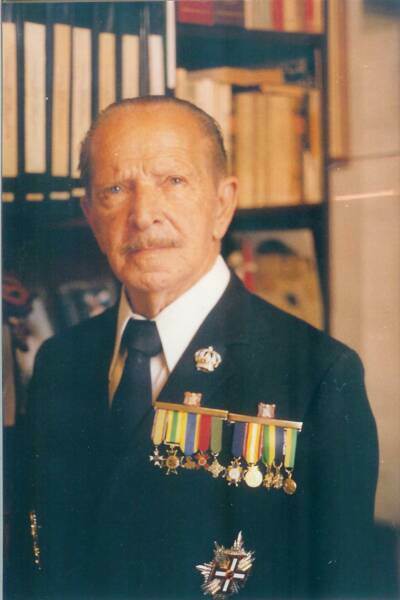 By His Imperial Majesty Marziano II Lavarello Lascari Paleologo Obrenovich, titular Emperor of Serbia-Bosnia and Constantinople, on 29 January 1972, and additionally in respect of the Principality of Vilna and all Byelorussia. The Emperor’s dynastic rights were affirmed by the following judgements of the Italian courts: Pretore di Roma (25 September 1948), Tribunale di Napoli (28 May 1947), Pretore di Vico del Gargano (27 June 1949), Tribunale di Perugia (27 March 1950). The Emperor bestowed on Prince Kermit William of Miensk the titles of Titular Bishop of Timok, Knight Grand Cross of the Order of Saint Sava of Serbia, and Knight Protector and Prince Regent of Antioch of the Order of Protectors of the Standard of the Holy Lance. He accepted from Prince Kermit membership in the Order of the Golden Cross of Miensk in the grade of Knight Grand Cross and the Order of the Sacred Cup, and from Prince Frederick of Vilna the Royal Order of the Imperial Crown of Byelorussia in the grade of Knight Grand Cross. Photograph with dedication to Prince Kermit of Miensk by H.I.M. 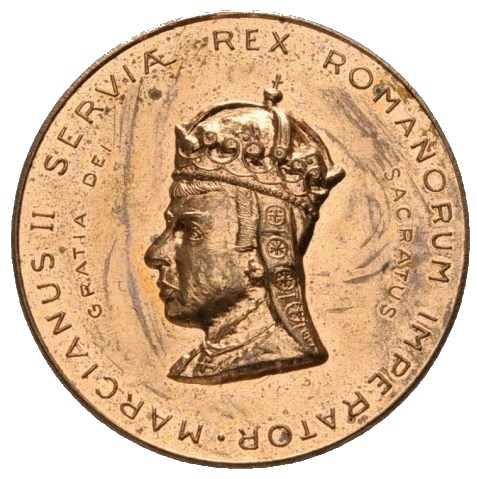 Marziano II. By His Royal Highness Togbe Kwasi Abliza III, Paramount Chief of the Volo Traditional Area, Volta, Ghana, who adopted Prince Kermit William of Miensk as a member of the Menuorfeme Royal Ruling House of the Volo Empire and bestowed upon him the title of Prince. 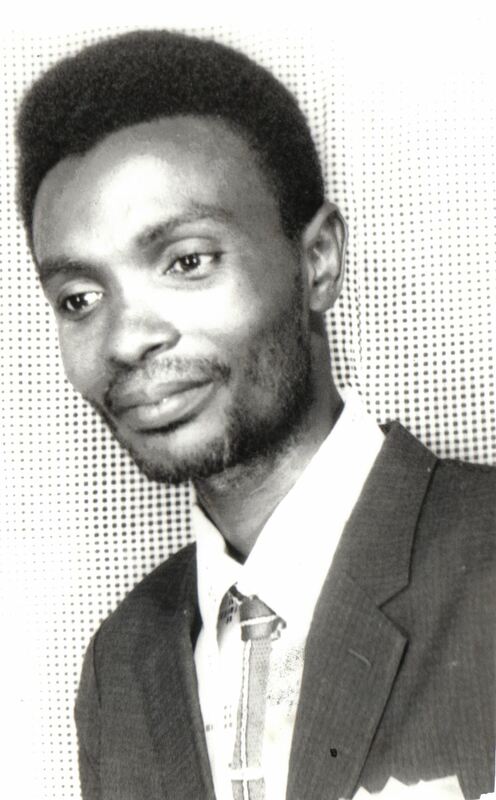 Signed photograph of Prince Emmanuel E.D. Arku, son of Paramount Chief Togbe Kwasi Abliza III and Regent of Volo after his death. 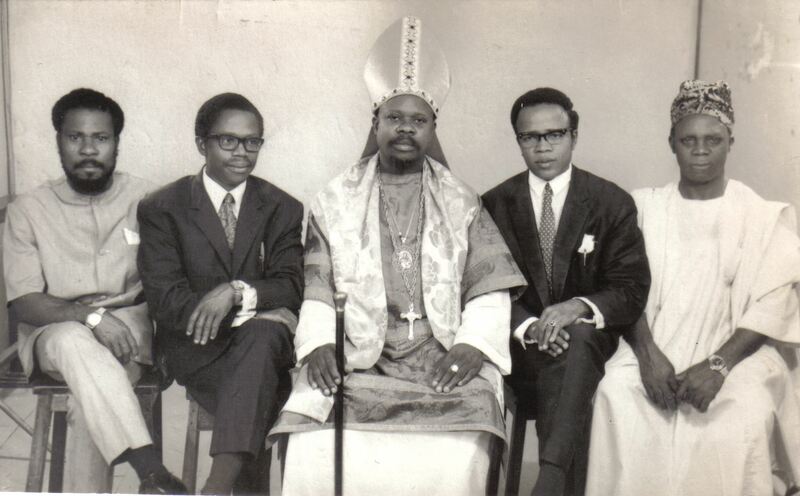 By His Royal Highness Prince Albert Aluya, Chief of the Royal House of Irrua of the Kingdom of Great Benin, who bestowed the title of Chief Oshodi of Irrua upon Prince Kermit William of Miensk, and accepted membership of the Order of the Sacred Cup from him. Archbishop Aluya at centre with members of staff of the American Orthodox Catholic Secretarial College, of which Prince Kermit of Miensk was patron. 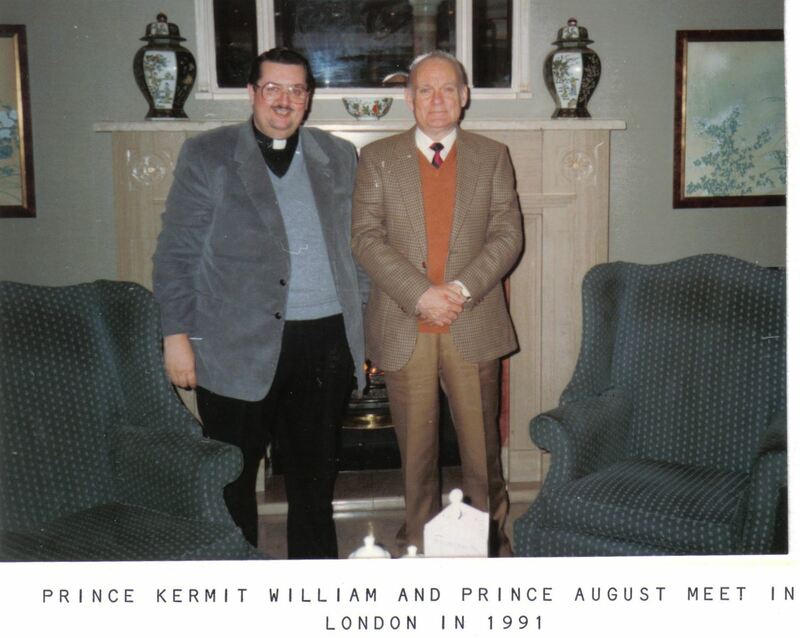 By His Majesty King Peter II of Yugoslavia, who bestowed upon Prince Kermit William of Miensk the dignity of Knight Bachelor of the Kingdom of Yugoslavia. 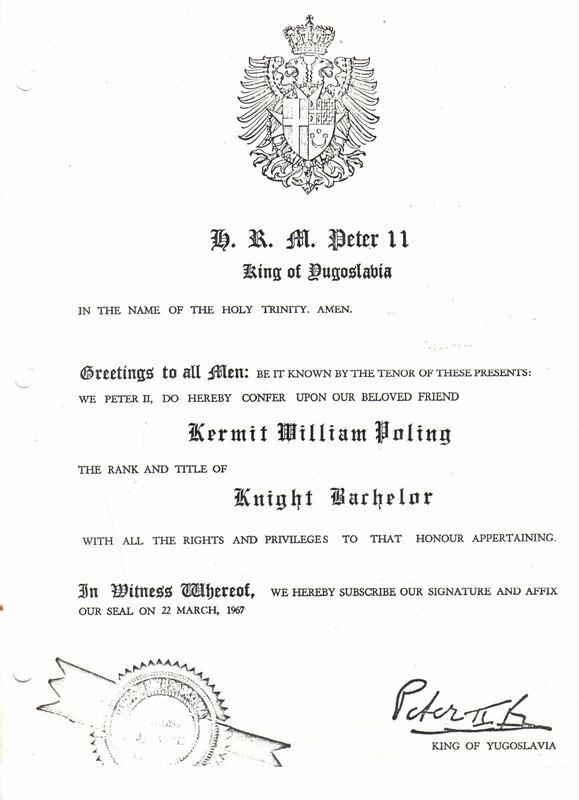 Knight Bachelor of the Kingdom of Yugoslavia, conferred upon Prince Kermit of Miensk by King Peter II. 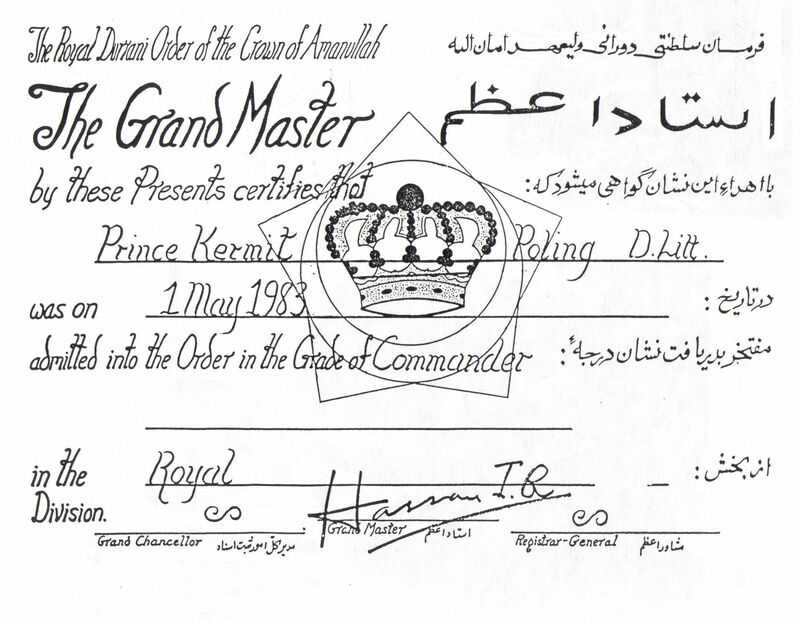 By His Majesty King Hassan I of Afghanistan, who bestowed upon Prince Kermit William of Miensk the Royal Durrani Order of the Crown of Amanullah in the grade of Knight Commander, in the Royal Division, and appointed him as a Colonel and Military Equerry to his Person. King Hassan was the son of King Amanullah and was recognized as a legitimate pretender to the Afghan throne by the Augustan Society, following an investigation of his claims lasting over two years. 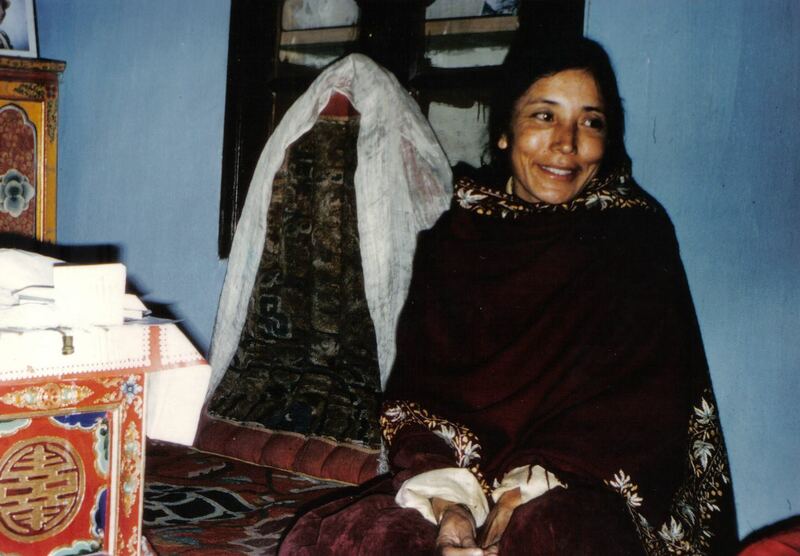 By Her Majesty Gyalmo (Queen, now Queen Mother) Diskyit Wangmo (Rani Parvati Devi Deskit Wangmo) of Ladakh, who has accepted the rank of Dame Nobilis in the Byzantine Order of Leo the Armenian and Honorary Membership of the Order of the Sacred Cup from Prince Kermit William of Miensk. 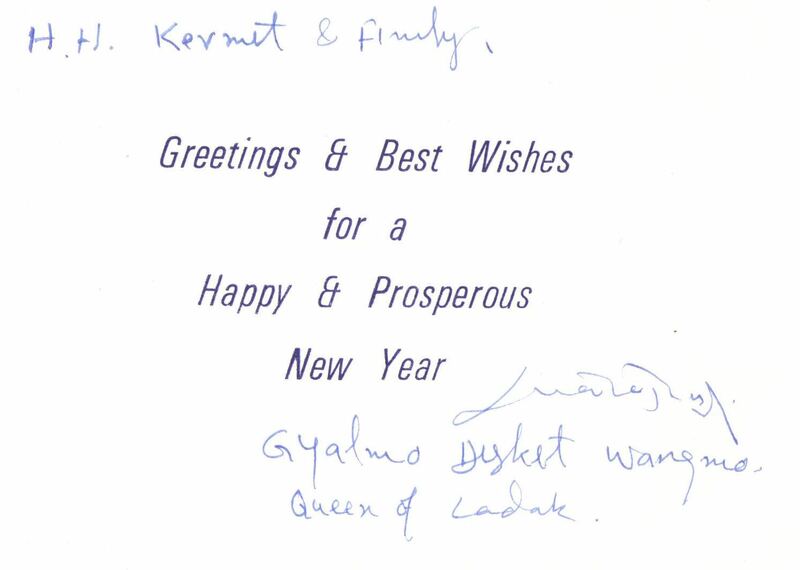 Card from the Queen of Ladakh. By His Highness Raghubir Singh Gohli, Maharaja of Rajpipla, who has accepted Honorary Membership of the Order of the Sacred Cup from Prince Kermit William of Miensk. 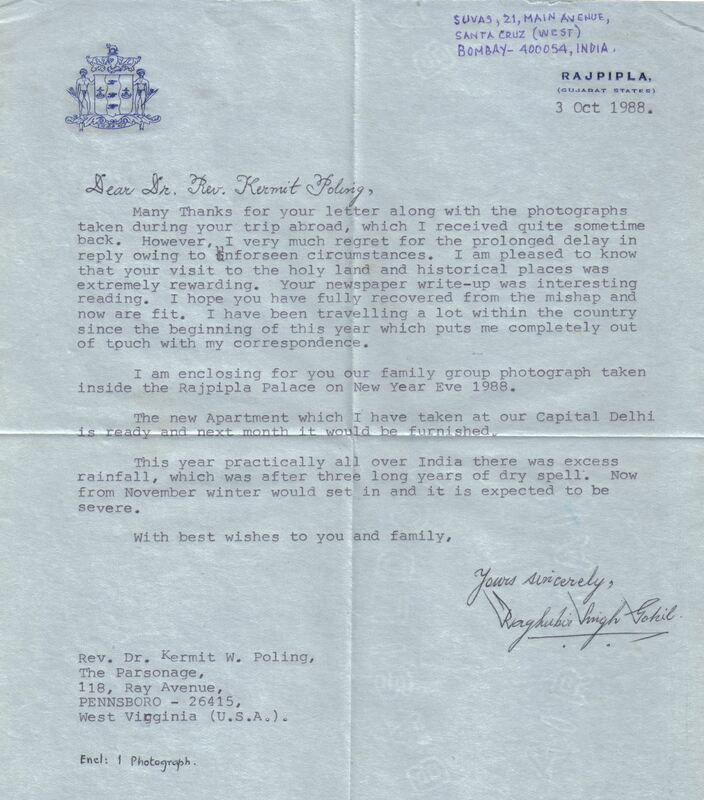 Letter of the Maharana of Rajpipla to Prince Kermit of Miensk. By His Serene Highness Prince-Abbot Edmond II of San Luigi, who bestowed upon Prince Kermit William of Miensk the Orders of the Crown of Thorns, of the Lion and the Black Cross, and of Antioch, and Prince-Abbot Edmond III of San Luigi (now also Prince of Miensk) who bestowed upon him the titles of Duke of Kelibia and Marquis of Inheressu (The Prince de San Luigi was recognized by His Majesty King Peter II of Yugoslavia in Letters Patent of 22 March 1962, King Peter also being High Protector of the Order of the Crown of Thorns). 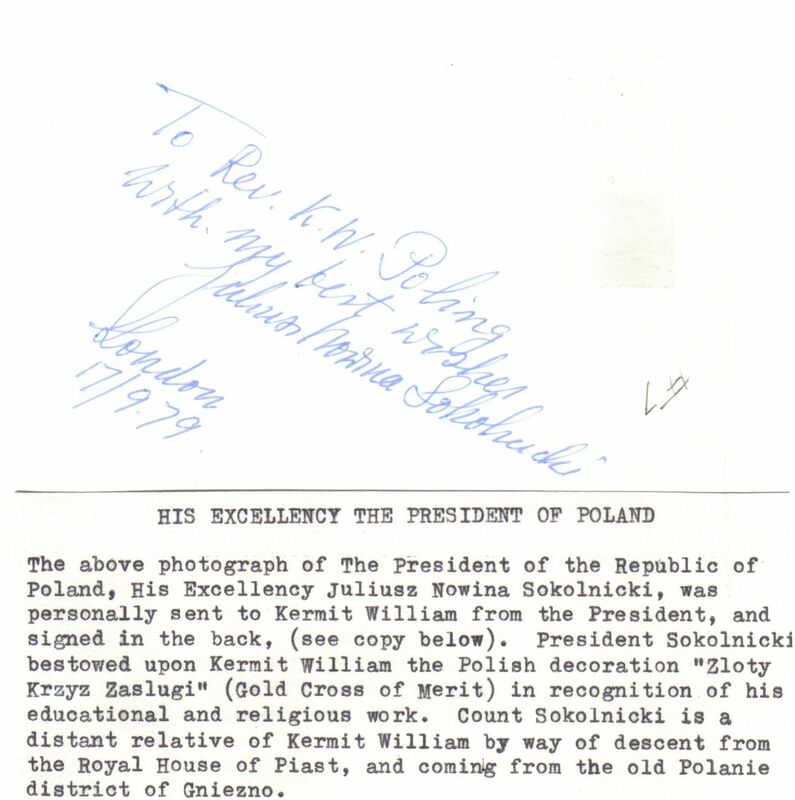 Letter of Prince-Abbot Edmond II de San Luigi to Prince Kermit of Miensk. 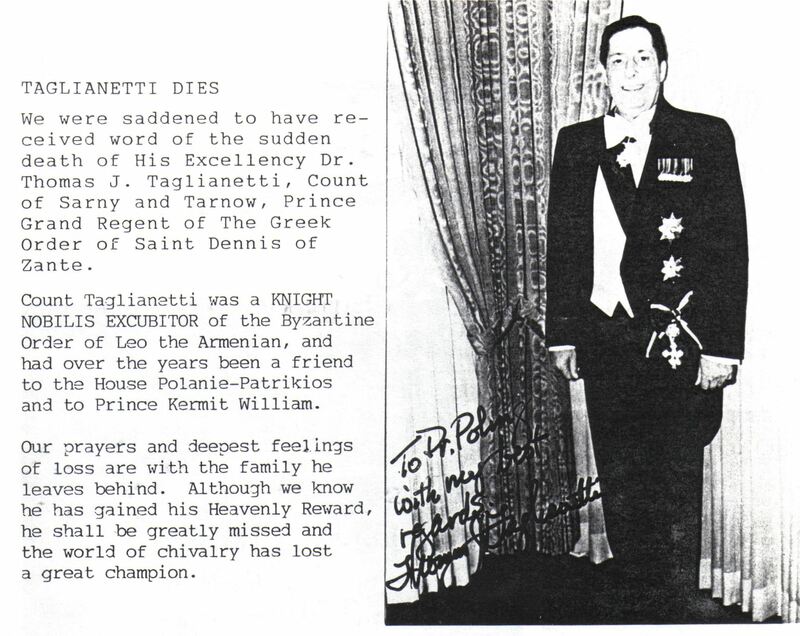 By His Imperial and Royal Highness Prince Hugo-Jose Tomassini Paterno Sforzini Tomasi-Leopardi, Head of the Dynastic House of Leopardi of Constantinople, who bestowed upon Prince Kermit William of Miensk the Imperial Military Constantinian Order of Saint George Martyr of the Imperial Byzantine Justinian Heraclian Dynasty in the grade of Commander, and the Order of Santa Sofia, Venezuelan Grand Priorate of the Constantinian Order of Leopardi of Constantinople, in the grade of Caballero-Guardia de Honor. 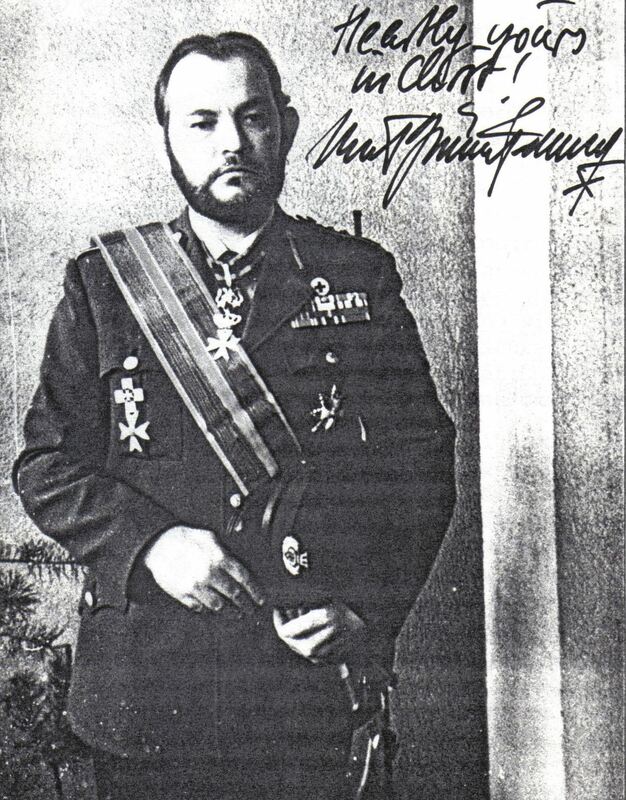 By His Imperial and Royal Highness Prince Guillermo III de Grau-Moctezuma-Rife, Head of the Imperial Catalan-Aztec Dynasty, who bestowed upon Prince Kermit William of Miensk the Orden de Nuestra Senora de Guadalupe in the grade of Knight Grand Cross, the Order of the Aztec Crown, and accepted the title of Count of Orsha and Membership of the Order of the Sacred Cup from him. 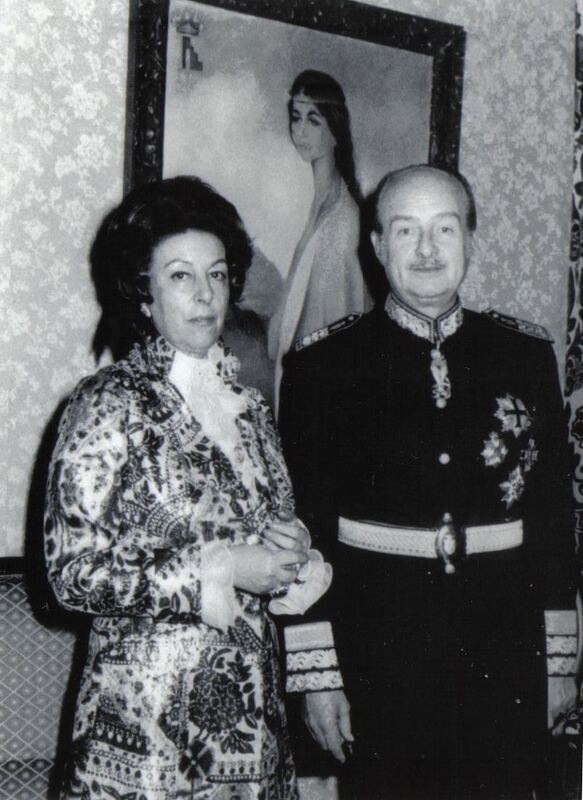 Prince and Princess Grau-Moctezuma in a photograph sent by them to Prince Kermit of Miensk. Prince Henri with Prince George King and their wives. 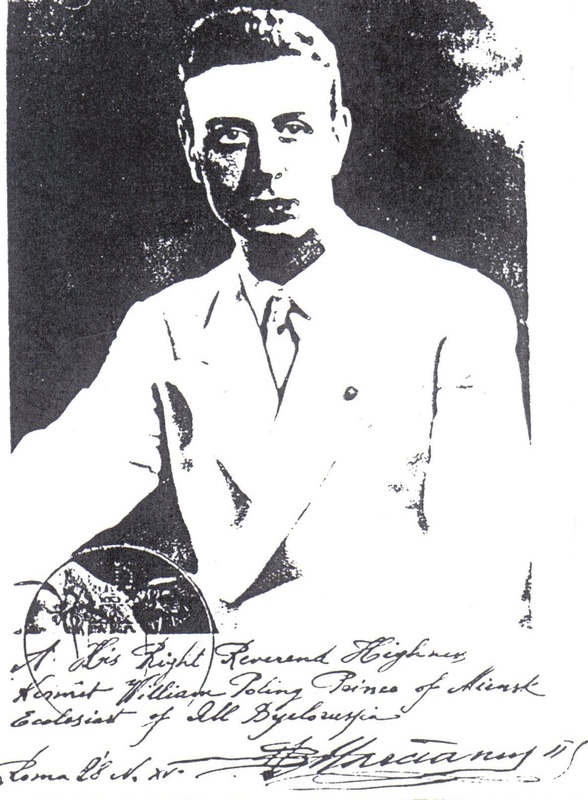 By His Serene Highness Prince George King de Santorini (title created by concession of 26 September 1981 by HIRH Prince Henri Constantine de Vigo Aleramico Lascaris Palaeologos, q.v.) 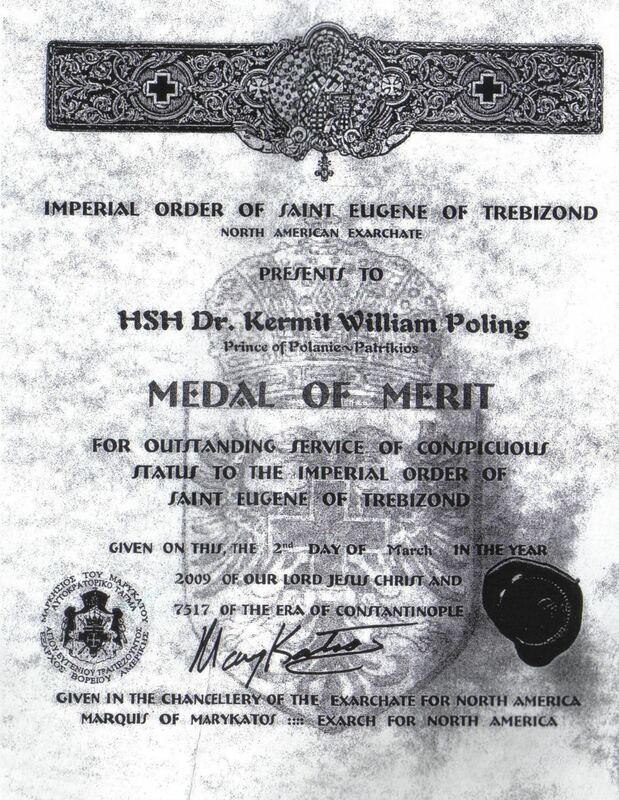 who bestowed upon Prince Kermit William of Miensk the Mystical Order of St Peter (under Royal Protection of HIRH Prince Henri) in the grade of Grand Cross and the Gold Star of Merit in that Order, and who was created by Prince Kermit William Baron Luktavno and accepted from him membership in the Order of the Sacred Cup. 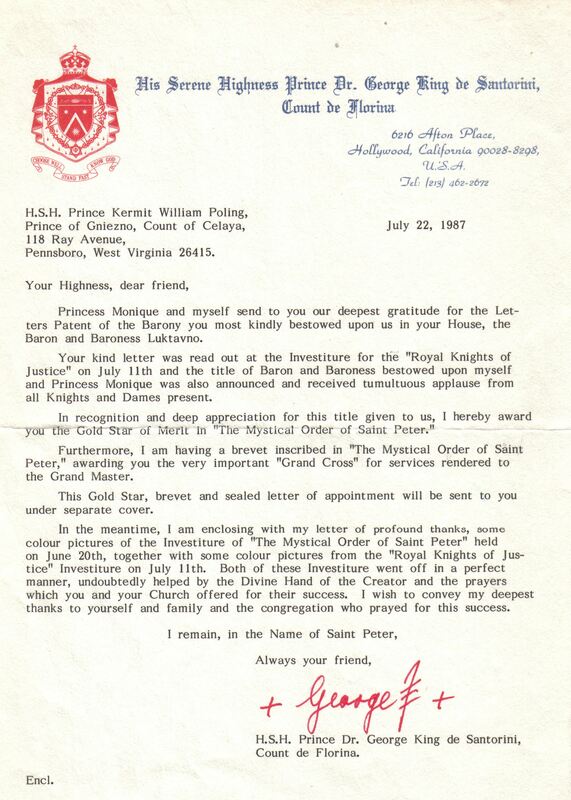 Letter of Prince George King de Santorini to Prince Kermit of Miensk. 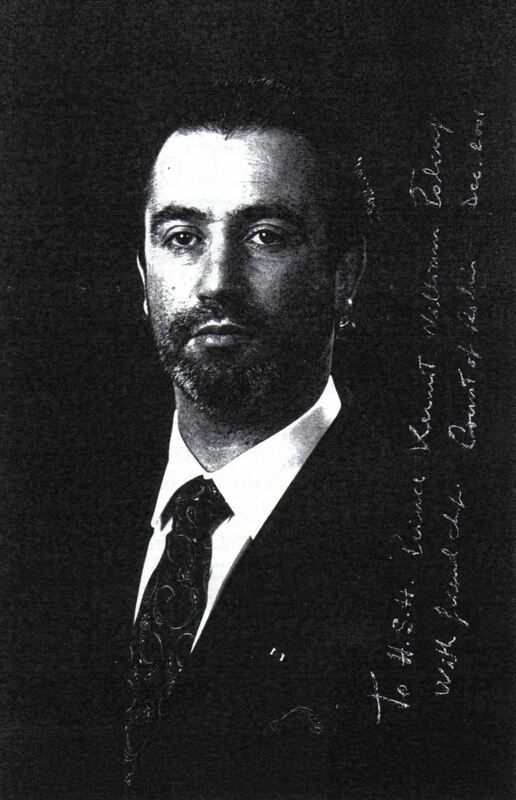 By His Serene Highness Don Waldemar Baroni Santos, Prince of Conejera (by sovereign concession of 20 June 1957 and 20 June 1960 of His Royal Highness Don Francesco Mario II Paterno Castello Guttadauro Ayerbe d’Aragona, Prince of Emmanuel, Head of Name and Arms of the Royal House of Aragon Majorca and Sicily, recognized by judgment No. 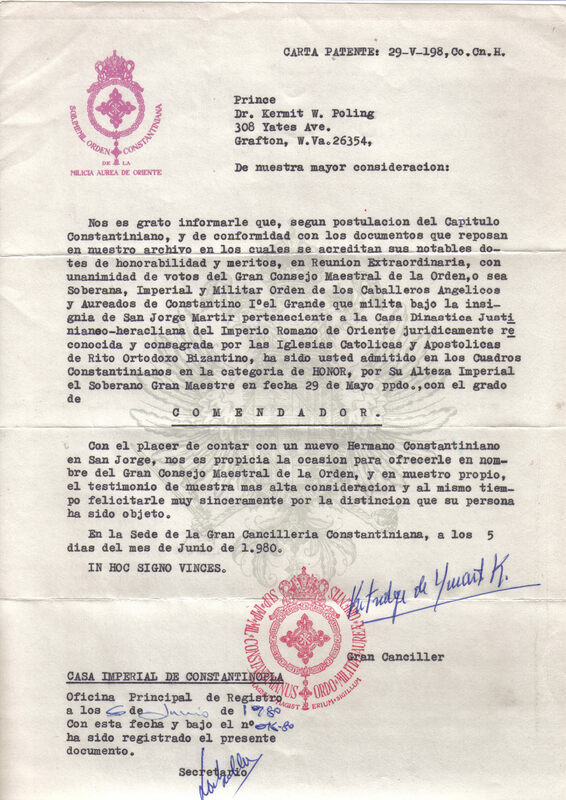 40/51 of the United Prefecture of Bari, Italy on 13 March 1952) who bestowed upon Prince Kermit William of Miensk the Augusta Ordem Imperial do Crescente (Princely and Military Order of the Golden Legion of Catalonia) in the grade of Knight Grand Cross of Justice, and the Order of the Golden Hare. By His Royal Highness Prince John Joseph Caspis, Head of the Sovereign House of Swabia (whose dynasty was recognized as sovereign by Imperial Decree of Archduke Ferdinand III of Austria in 1598), who bestowed upon Prince Kermit William of Miensk the titles of Hereditary Count, Baron of Aarburg and Grand Dignatory of the Court of Swabia, Grand Collar and Bailli of Justice in the Royal Swabian Order of St Gereon, Honorary Knight in the International Legion “Frederick II of Swabia”, and accepted from him membership in the Order of the Sacred Cup. 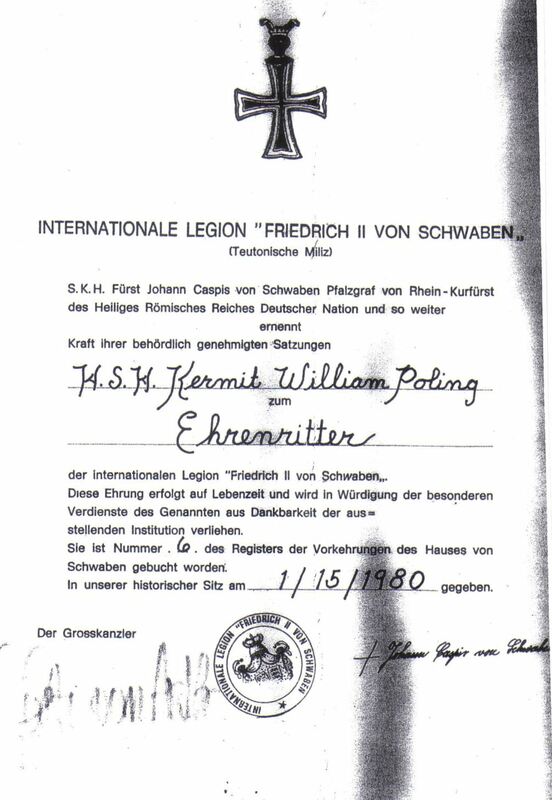 By His Imperial Highness Prince August von Hohenstaufen-Lanza, Head of the House of Hohenstaufen (recognized by the Holy See, exemplified by the patronage of Henri, Cardinal Schwery and Archbishop Mario Rizzi, Apostolic Nuncio), who bestowed upon Prince Kermit William of Miensk the title of Prince of Hohenheim and and who accepted from him the title of Prince of Nissyros and the ranks of Knight Nobilis Excubitor in the Byzantine Order of Leo the Armenian and Knight of the Order of the Sacred Cup. By His Royal Highness Prince Frederick of Vilna and All Byelorussia (the Principality of Vilna and All Byelorussia was erected by Patriarch Peter Zhurawetsky of All Byelorussia on 11 February 1971) who bestowed upon Prince Kermit William of Miensk the title of Duke de Resigne, the Royal Order of the Imperial Crown of Byelorussia in the grade of Knight Grand Cross, and the Royal Order of Saint Laurent in the grade of Knight Grand Cross, and who accepted from him membership in the Order of the Sacred Cup and the other Orders of the House Polanie-Patrikios (Prince Edmond II of San Luigi succeeded to the title of Prince of Vilna and All Byelorussia and the Grand Mastership of the Royal Order of the Imperial Crown of Byelorussia at the death of Prince Frederick on 18 June 1985; in 2015 his successor Prince Edmond III of San Luigi succeeded to the Principality of Miensk). By His Royal Highness Prince Jose Maria (Sidi Yussef) de Almuzara Beni-Casi, Head of the Royal House of Muza (Granada) (whose claim to the throne of Granada was acknowledged by the Caudillo and Regent of Spain, Francisco Franco, in 1951), who accepted membership in the Order of the Sacred Cup from Prince Kermit William of Miensk. 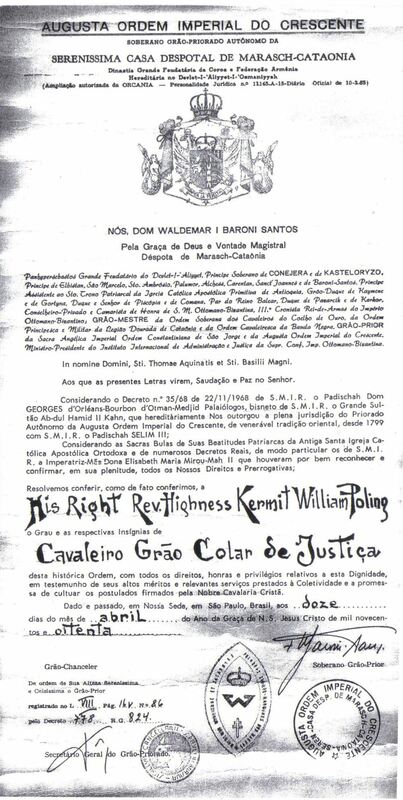 By His Royal and Imperial Highness Prince Pascal I Bandeira Moreira, Chief and Head of the Name and Arms of the House of Great Gothia (whose House was recognized by decree of the deposed Ottoman Sultan Abdul Hamid II of 1 May 1910), who bestowed upon Prince Kermit William of Miensk the Order of the Crown and the Golden Spur in the rank of Knight Grand Cross, and received from him the Order of the Sacred Cup. By His Royal and Serene Highness Prince William I, Chief and Head of the Name and Arms of the Royal and Serene House of Alabona-Ostrogojsk (which House was recognized by Decree of HRIH Prince Pascal I Bandeira Moreira (q.v.) 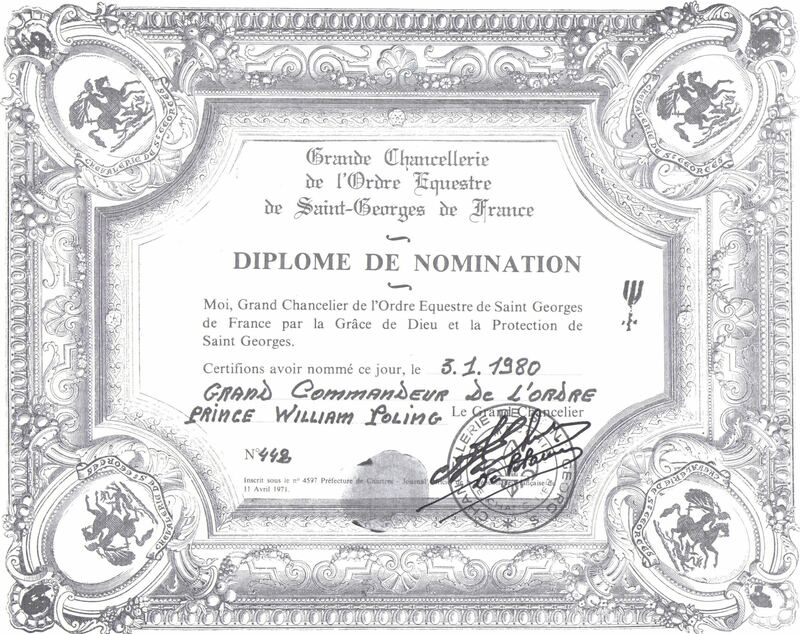 on 23 April 1989), who bestowed upon Prince Kermit William of Miensk the title of Duke of Saint Cyrille, the Grand Cordon of the Order of the Noble Companions of the Swan, the Order of Merit of Saint Angilbert of the Noble Companions of the Swan, the Most Noble and Royal Order of the Crown of Alabona, and accepted from him the title of Duke of Sebastes, membership in the Byzantine Order of Leo the Armenian in the rank of Knight Nobilis Excubitor, and in the Order of the Sacred Cup. 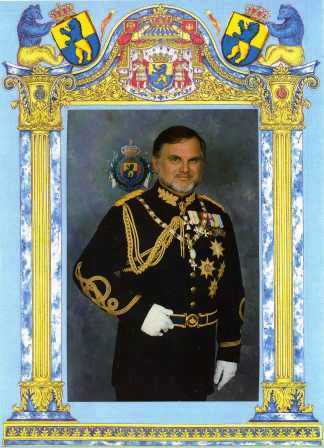 Prince William I of Alabona-Ostrogojsk in an official portrait sent to Prince Kermit of Miensk. 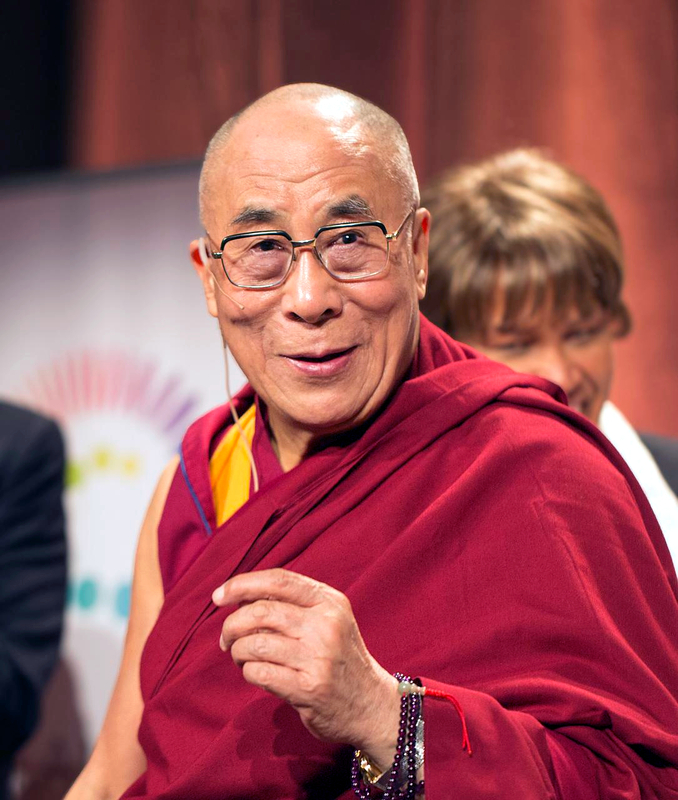 By the 14th Dalai Lama, Tenzin Gyatso, Ruler of Tibet, who accepted from Prince Kermit William of Miensk Honorary Membership in the Order of the Sacred Cup. By President Chiang Kai-Shek of the Republic of China, who bestowed the Medal for Justness upon Prince Kermit William of Miensk and accepted from him Knighthood in the Order of the Sacred Cup. 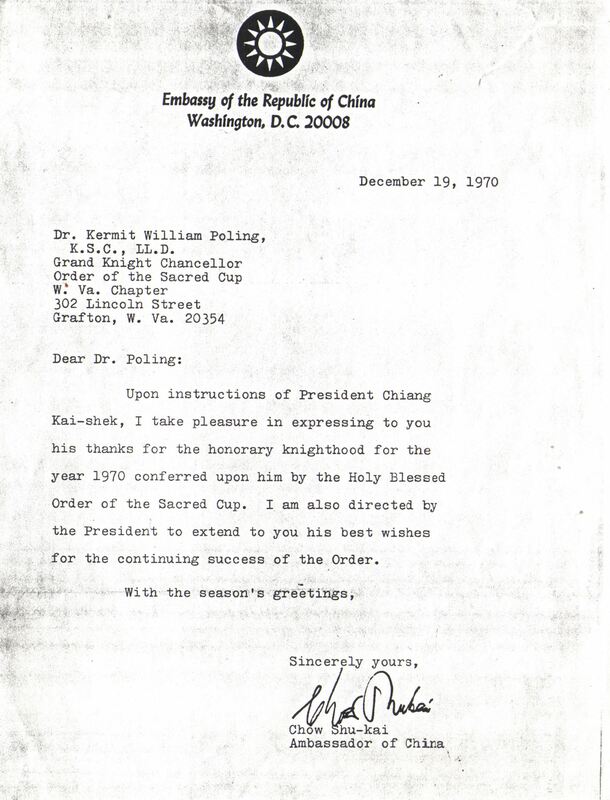 Letter of President Chiang Kai-Shek to Prince Kermit of Miensk. By President William S. Tubman of Liberia, who accepted from Prince Kermit William of Miensk Membership in the Order of the Sacred Cup. By President-in-exile Juliusz Nowina-Sokolnicki of Poland, who bestowed the Gold Cross of Merit upon Prince Kermit of Miensk. Prince Edmond of Miensk has also received the Gold Cross of Merit of the Royal Order of St Stanislas. By the Governor of the Commonwealth of Kentucky, USA, who commissioned Prince Kermit William of Miensk and Prince Edmond of Miensk as Kentucky Colonels. By the Governor of the State of Nebraska, USA, who commissioned Prince Kermit William of Miensk and Prince Edmond of Miensk as Nebraska Admirals. 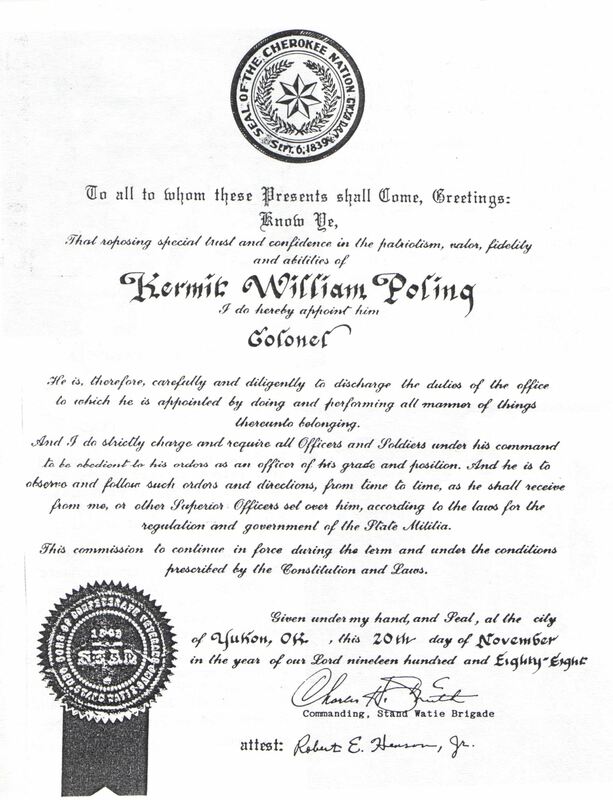 By the Governor of the State of Georgia, USA, who commissioned Prince Kermit William of Miensk and Prince Edmond of Miensk as Lieutenants-Colonel Aides-de-Camp. 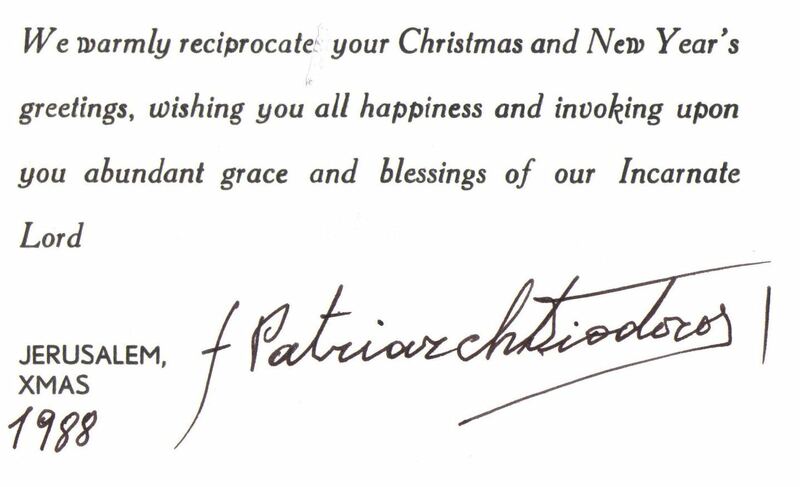 By the Governor of the State of Texas, USA, who made Prince Edmond of Miensk an Honorary Texan. By the Cherokee Nation, Sons of Confederate Veterans, which commissioned Prince Kermit William of Miensk to the rank of Colonel in the Stand Watie Brigade. By the Military Order of the Stars and Bars (limited to male descendants of officers and officials of the Confederate States of America) which bestowed upon Prince Kermit William of Miensk the honorary rank of General. 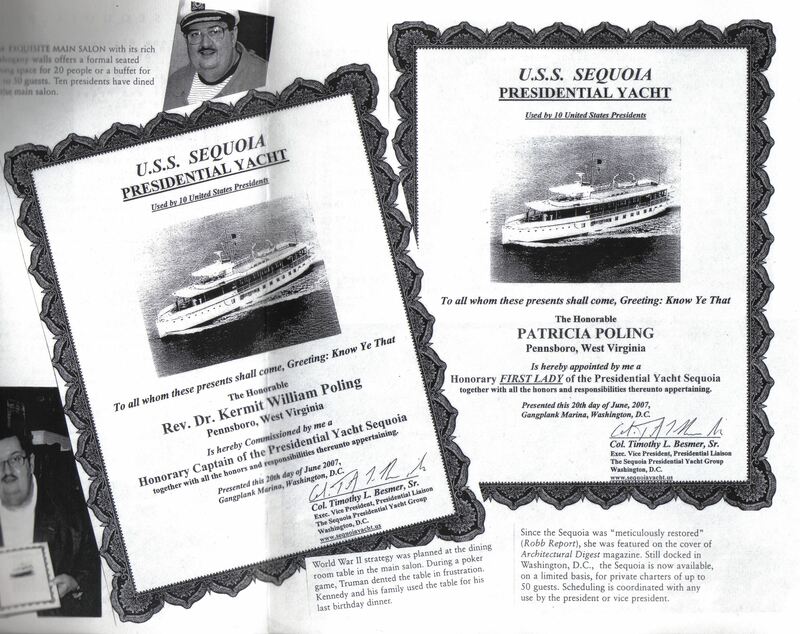 By the USS Sequoia, the Presidential Yacht of the United States. 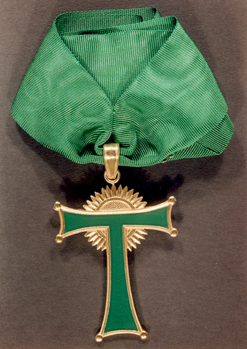 By the Polish Society of War Veterans and Former Political Prisoners, Poland, which bestowed upon Prince Edmond of Miensk the Cross of Merit. 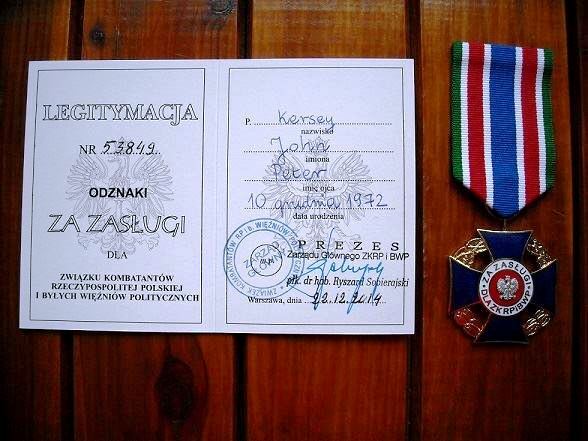 By the organization of soldiers of the Home Army Uprising Special Forces “Jerzyki” (“Swifts”), Poland, which bestowed upon Prince Edmond of Miensk the Badge of Honor – Cross of Merit. 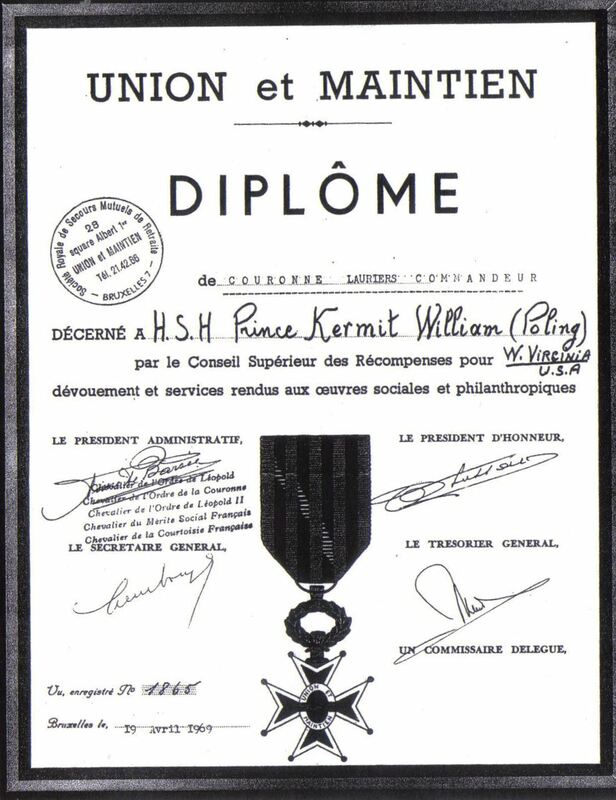 By the Order of St Dennis of Zante, which bestowed upon Prince Kermit of Miensk the rank of Knight Grand Cross and admitted other members of the Royal House to membership. By the Estament de Cavallers Nobles del Principat de Catalunya, Spain, which bestowed the title of Grand Cross on Prince Kermit of Miensk. 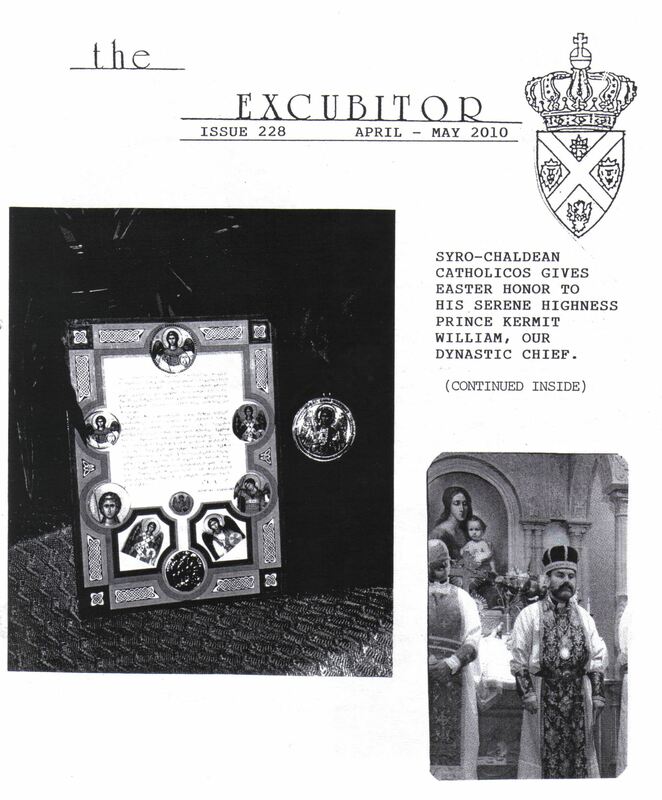 By the Grand Prior of the Royal Fraternity of Sao Teotonio, H.E. 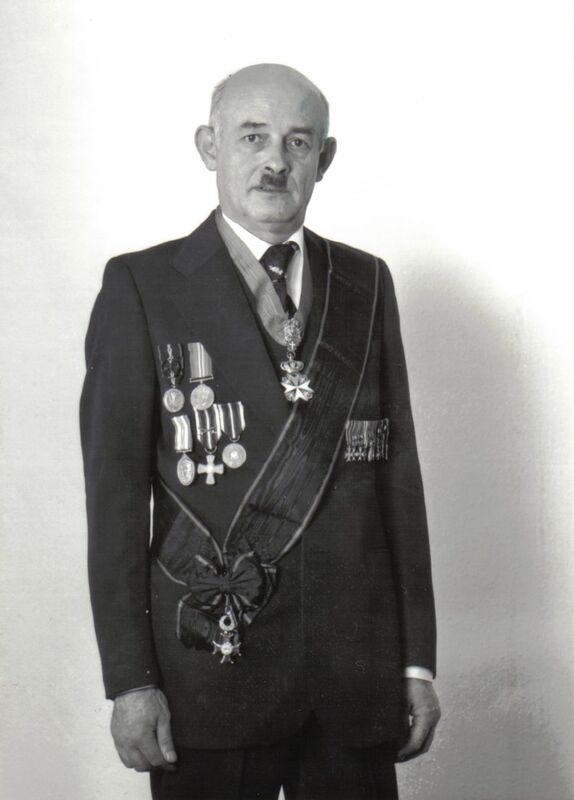 Count Ulysses Rolim, who received membership of the Byzantine Order of Leo the Armenian in the rank of Knight from Prince Kermit of Miensk. Photograph of Count Rolim dedicated to Prince Kermit, December 2001. By H.E. 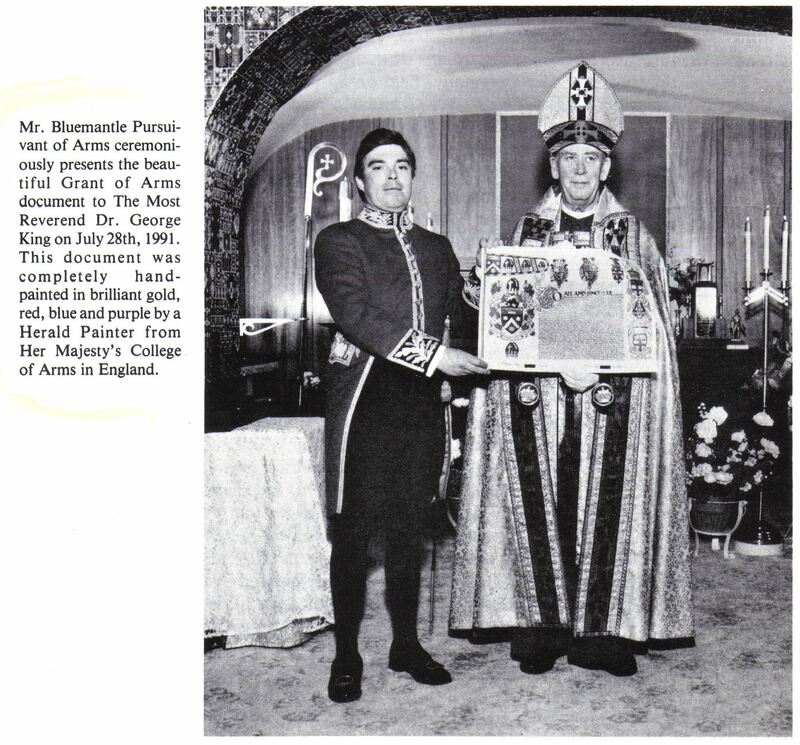 Colonel Helmut von Bräundle-Falkensee, Grand Master of the Order of St Joachim and the Order of St Andrew, who accepted many of the honours of the Royal House Polanie-Patrikios from Prince Kermit of Miensk and also exchanged recognitions with the future Prince Edmond of Miensk. Photograph of Helmut von Braeundle-Falkensee dedicated to Prince Kermit. By the Order of St Aelred of Rievaulx. By the Ordre Equestre de St Georges de France, which appointed Prince Kermit of Miensk as a Grand Commander, and whose Grand Master, Baron Roger Macchia, was created Baron of Azov by Prince Kermit. By the Societe Royale “Union et Maintien”, Belgium, which appointed Prince Kermit of Miensk as Couronne Lauriers Commandeur. 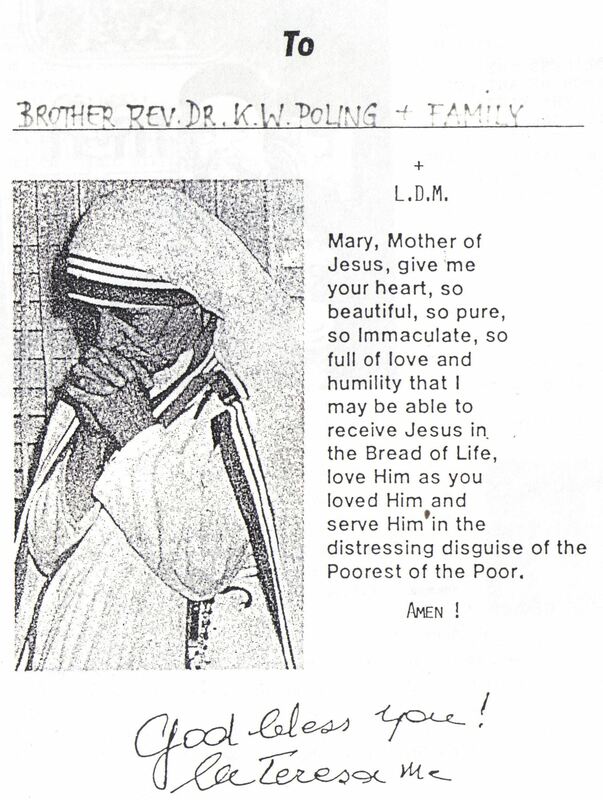 Dedication of Mother Teresa of Calcutta to Prince Kermit of Miensk. Prince Kermit met in private audience with Mother Teresa of Calcutta on the occasion of her visit to the United States in 1994. He said, “When you spoke to her, it was like nobody else was in the room. She just focused on you. She took hold of my hands and I kind of had to strain to hear what she was saying, she spoke so gently and so low. She asked about me and before I left her she said, ‘I want you to bless me.’ It just kind of floored me. I said a little prayer with her and asked the Lord to bless her and her work. However, I was the one who came away with a blessing. I felt like I was walking on air when she let go of my hands. It was a wonderful experience. She was so full of love.” A few days later, the card above arrived through the mail. The Augustan Society admitted Prince Kermit of Miensk as an Honorary Fellow in the Fifth Class and awarded him the Principate of Avgvstvs Commemorative Medal. He was also a Fellow of the Octavian Society. 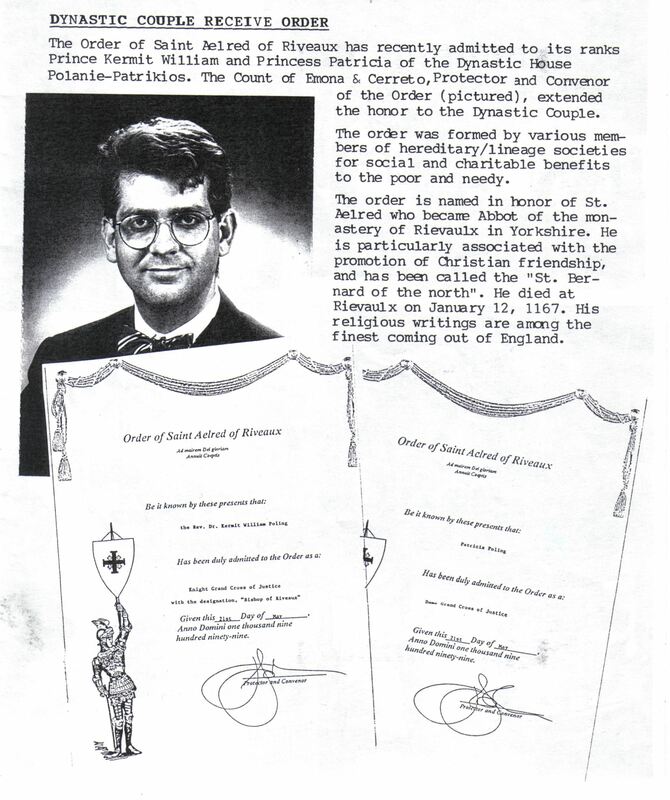 The Sons of the American Revolution, a lineage society for descendants of combatants in the American Revolution, admitted Prince Kermit of Miensk as a member. 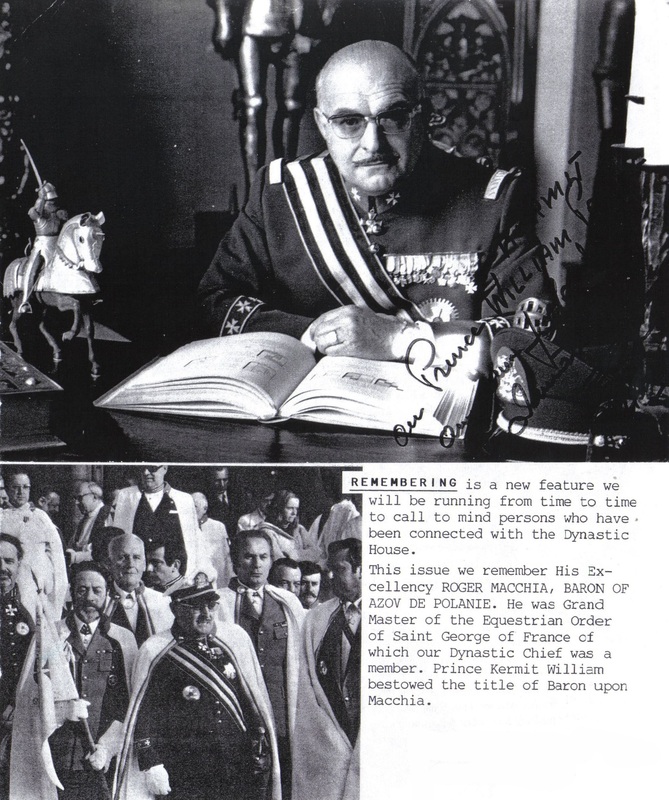 The Sons of Confederate Veterans, a lineage society for descendants of Confederate veterans, admitted Prince Kermit of Miensk as a member.